Poris is a simple and minimalist blogging theme for WordPress. The theme comes with tons of options in the theme customizer to help you configure the theme the way you like it. 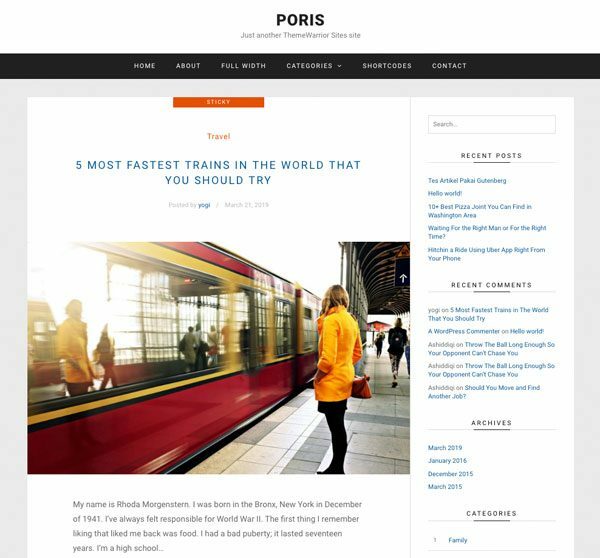 Start your blogging experience now using Poris WordPress theme. 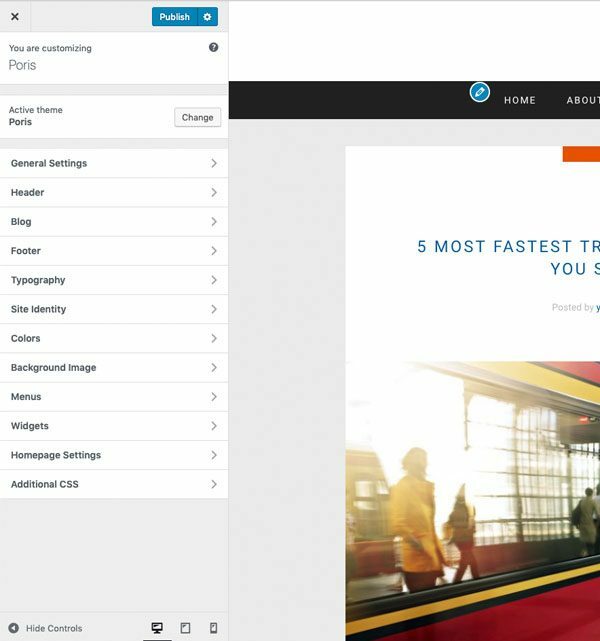 Poris is our simple and clean WordPress for blogging. 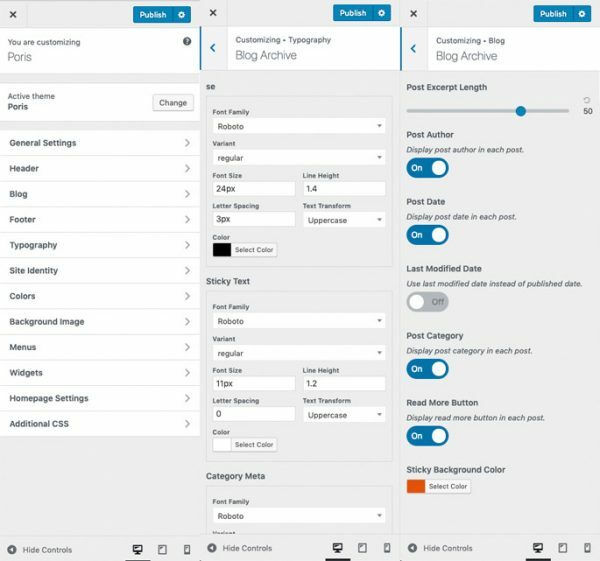 Poris is responsive from top to bottom and bundled with easy to to use theme options to help you manage and configure the theme. Please note that the free version doesn’t come with premium support and documentation. Poris comes bundled with lots of settings to help you to make the theme as unique as possible and suits your need. You can easily change the colors and typography, you can also enable/disable specific features by a single click.